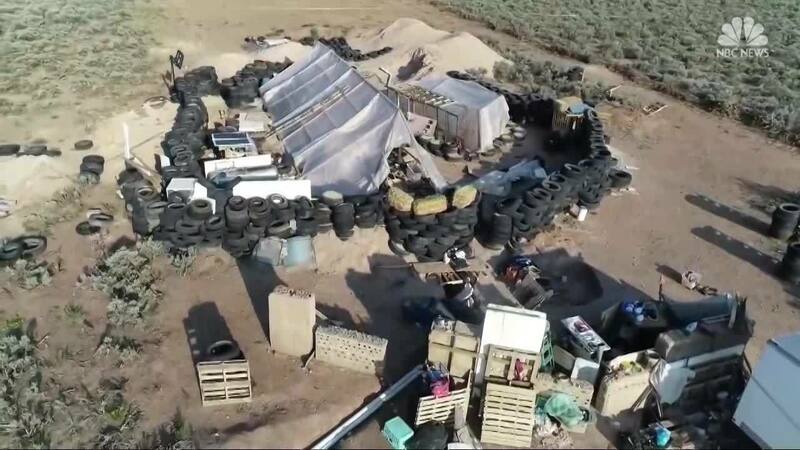 In the northern part of New Mexico, police have found a ‘remote desert compound’ that hid 11 malnourished children, and terrible living conditions. There were five adults, three women and two heavily armed men. The children were found during a search that was on to find one of the two armed adults’ three year old son, however, he was not there. Authorities were led to the site after receiving a message from a third party that said, “We are starving and need food and water.” There was no running water or electricity. Food wise, there was only a few potatoes and a box of rice. The three women found are believed to be the children’s mothers, but that has not been confirmed yet. They were detained at first but have been released. The two men are being charged with several accounts of child abuse. It also appears that the children and the women were brainwashed and felt great intimidation by the men that ran the compound. Apparently, the police had already had their eyes on the site, but they had to wait for a search warrant, as the people there were more than likely heavily armed and considered extremist of the muslim belief. One of the suspects, Mr. Wahhaj, was armed with an AR-15 rifle and four pistols. The children were taken away and put into the hands of the local social services. They are on track to make a full recovery and put into nice homes, and thanks to that they will no longer have to worry about being trained to be a school shooter.